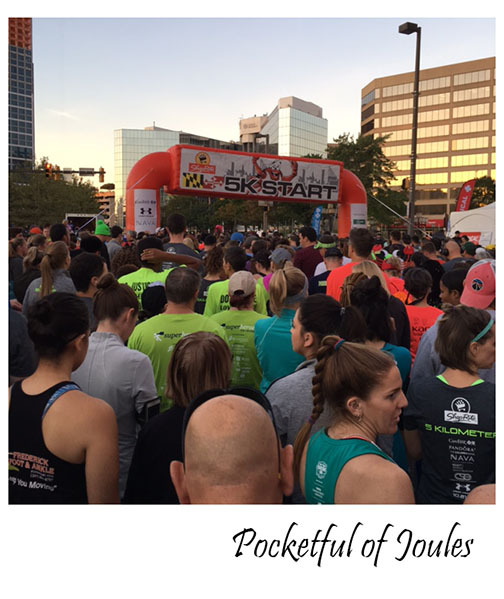 The 2017 Baltimore Running Festival & Jack’s 1st Race! 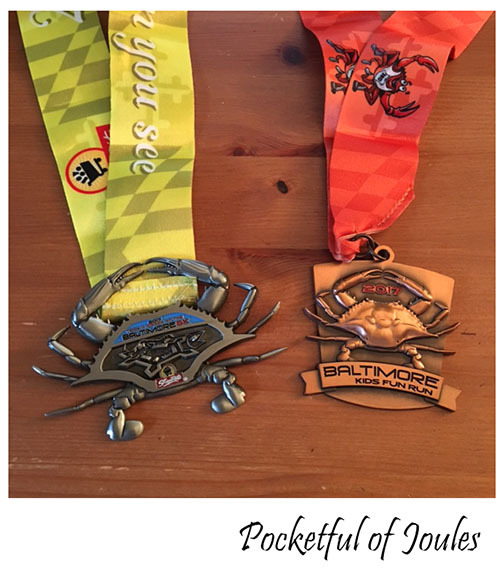 After years of doing the Baltimore Running Festival – whether it be the 5k or the Team Relay Marathon with my siblings – this year was super special. Jack had been asking to do a fun run race for a couple months and we decided that this would be a great first race for him. The races for the Baltimore Running Festival tend to be towards the more expensive side, but the Kids Fun Run was actually quite a deal. For $15, Jack received an Under Armour running shirt, his own crab medal and snacks at the finish line. 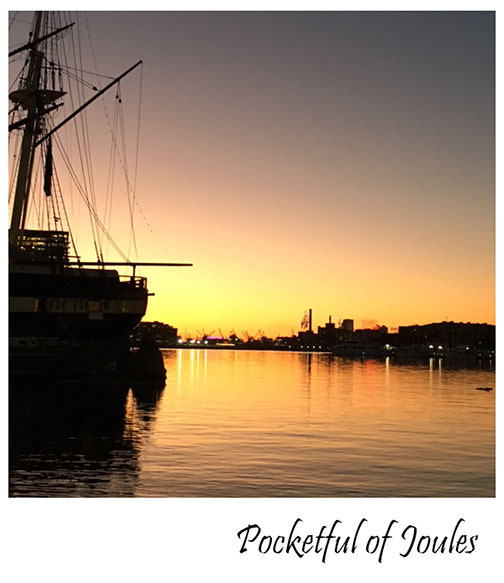 It was a super early morning and we got to see the sun rise over the Baltimore Inner Harbor on our way to the start line. After I wiped the sweat off me, we made our way over to the other side of the Inner Harbor with plenty of time to spare for the kid’s run. Kids 8 – 12 ran the longer .38 mile course and age 7 and under ran the .14 mile course. There were a ton of kids there, so Jack decided that he wanted to hold my hand and run the race together. It was a total mess at the beginning with kids running every which way. One kid decided a few steps in that she hated running (I hear you girl…) and collapsed to the ground crying for her mom to pick her up. Once we broke free of some of the pack, I asked Jack if he wanted to go faster… which he did. So, we kept going faster and faster until he was basically flying at the end of it. He was super proud of himself and VERY happy to have his own medal like mommy’s! 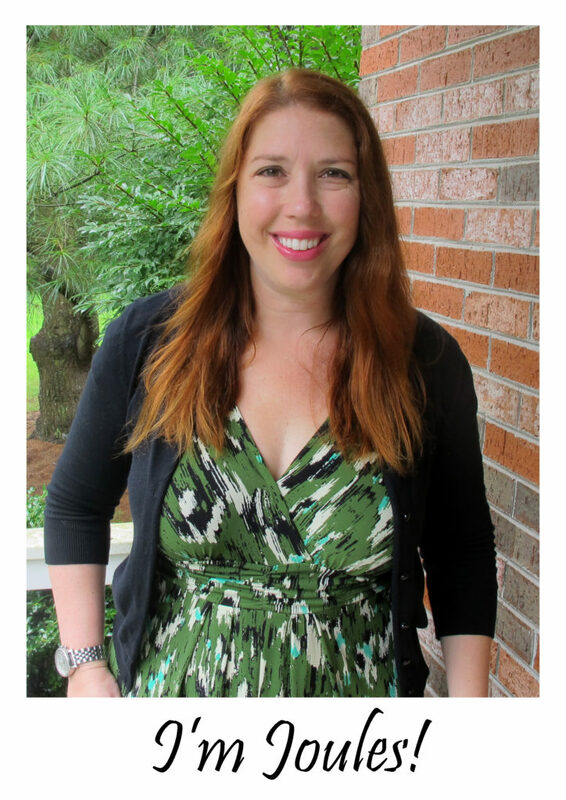 And of course, I needed a photo of the two of us to celebrate the moment! Jack has already asked when he can do another race, so I think it’s safe to say he will be doing the Baltimore Running Festival again with me next year. Race season in Maryland is coming to a close, but I will definitely keep my eyes open for some more fun run’s in the spring! I had to Google this to be sure but did you know there is a parkrun in Baltimore? Leakin Park. It’s the Saturday morning at 9am free 5km thing that I do every.single.weekend. Ha ha! Elodie does the 5km too (but we also have junior parkrun here on Sunday’s which is only 2km).